Xbox One version reviewed with a disc copy of 'Tom Clancy's The Division.' Both the expansion and the base game were provided by the publisher. 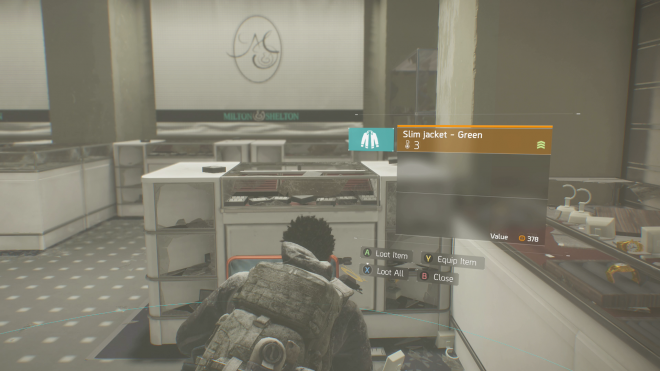 Ubisoft has been plugging away at 'Tom Clancy's The Division' since release, working mostly on fixes and small content updates as these online games do. They have released one paid DLC, 'The Underground', which consisted of randomized, arcade-style missions. The newest DLC is 'Survival' and completely changes how the game is played. 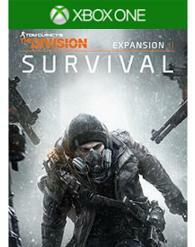 'Survival' mixes traditional 'Division' shooter gameplay with elements of survival games, as the name might suggest. 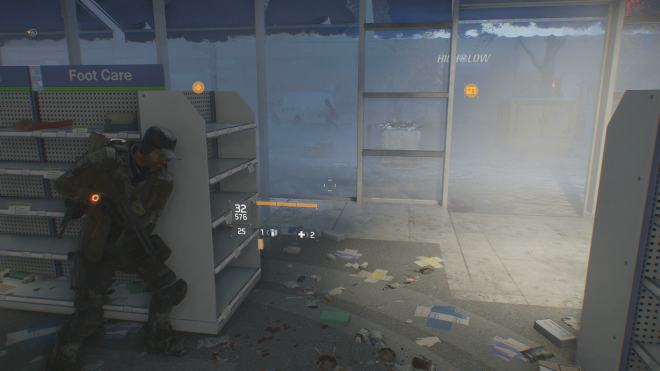 The character is dropped into a massive blizzard with very little equipment, and must make their way through New York into the Dark Zone for extraction. Up to 23 other players can join in on each session, making it a race to the finish and a competition for resources. For the especially competitive, the session can be made full PVP with combat allowed between players. Otherwise, players are competing for resources only, and cannot damage one another. The first and last five minutes of each survival session (which typically last for an hour) are by far the most difficult, often excessively so. Armed with only a pistol and a single medkit, I departed the warm, safe hideout into the frigid city streets. My clothing was completely inadequate, and with the outside temperature dropping to arctic levels, my first priority was to craft some better winter apparel. Boxes and backpacks full of crafting material can be found in nearly every alley, as well as the abandoned shops and pharmacies that haven't been completely looted. At this early stage, the pistol is more likely to get me killed than protect me. I can probably take down a single NPC before he can react, but his buddies will quickly surround and corner me with their shotguns and rifles. 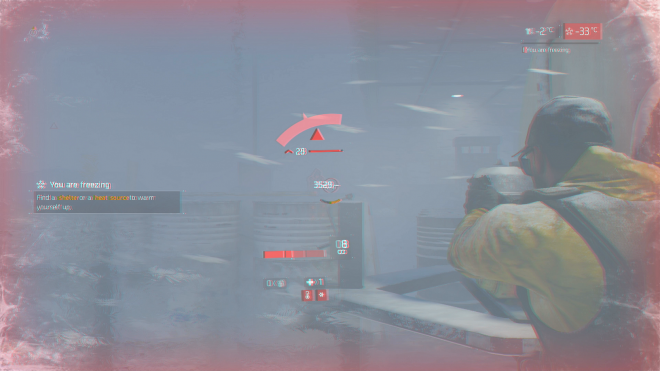 Stealth is the better option, and while 'The Division' does not excel in this regard, it isn't impossible to avoid enemies because of the reduced visibility in the snowstorm. Once I have collected enough scrap, I can find a nearby hideout for a crafting session. The hideouts have power, heat, and enough security to keep out gangs, and sometimes a fridge that contains a snack or water bottle. In addition to cold weather gear, the hero is also starving, dehydrated, and suffering from sepsis after their helicopter crash landed. Food, fresh water, and meds must be collected to keep the character fighting fit. If these things are ignored, it wouldn't kill me, but I can't really afford the negative health effects. Other equipment can be crafted at the hideouts, like better weapons, armor, and mods. Even skills must be crafted, as each player begins with a totally fresh character and no skills to speak of. All of these things are created with the same stuff, so it's not really possible to have something of everything, at least until a mask is crafted and I could hop the wall into the dark zone. The DZ has more enemies, tougher enemies, and fewer hideouts, but also better crafting materials and somehow, no blizzard. I was very pleasantly surprised at how well done the survival mechanics were. I love games like 'ARK' and 'Don't Starve', and did not expect anything remotely like this to happen in a game like 'The Division'. I also think that these mechanics, which are not particularly accessible or intuitive for a lot of players accustomed to a loot-based shooter, will not be exceedingly popular amongst the playerbase as a whole. There are problems, to be sure - the enemies can be overpowered, especially the hunters who descend in swarms on the player during extraction. I haven't actually been able to extract because of this, even when another player is nearby. The hunters have amazing weapons and flashbangs and can even one-shot the player, which is just dumb after I've been sneaking around the city for an hour to collect supplies. They should be challenging sure, but not one-shot challenging. There is a capacity for emergent gameplay that is unexpected outside of 'DayZ' and other pure survival games. While I have typically played the DLC on PVE, that hasn't stopped me from taking advantage of other players when the opportunity presents itself. I frequently stop to collect goods from fallen agents, which can be a huge windfall depending on how long it's been since they last crafted. I will follow them around discreetly, scavenging the items they miss and waiting for them to stumble upon a group of NPCs - then I keep hiding while they fight, hoping they get killed so I can swoop in for the loot like a craven vulture. I have even experimented with setting traps for them, like waiting until they enter a safehouse and then aggroing a group of high-level enemies nearby. I kite them to the entrance and run away when the other player emerges, shocked to find an angry welcoming party. Opportunities like these are sort of possible in the regular Dark Zone, but here their use is amplified. 'Survival' has a nice campy opening cinematic and a beautiful, blizzardy NYC, but that is the limit of the new visuals. Even with 24 players together, everything runs smoothly. New audio is also limited, but the background music is tense and bleak, aligning right along with the theme of 'Survival'. I find a lot to like with the survival aspects of the DLC and so I enjoy replaying it for the procedural aspect. It is important to keep in mind that except for the starting location and resource layout, the mechanics of every 'Survivor' playthrough are identical. This could limit replayability for many players. Also, the rewards that come back with the player into the normal 'Division' world are paltry, almost negligible. It has to be played for its own merits, not for any kind of bonus or completion aspect.